An old lede from The Economist caught my eye this week. 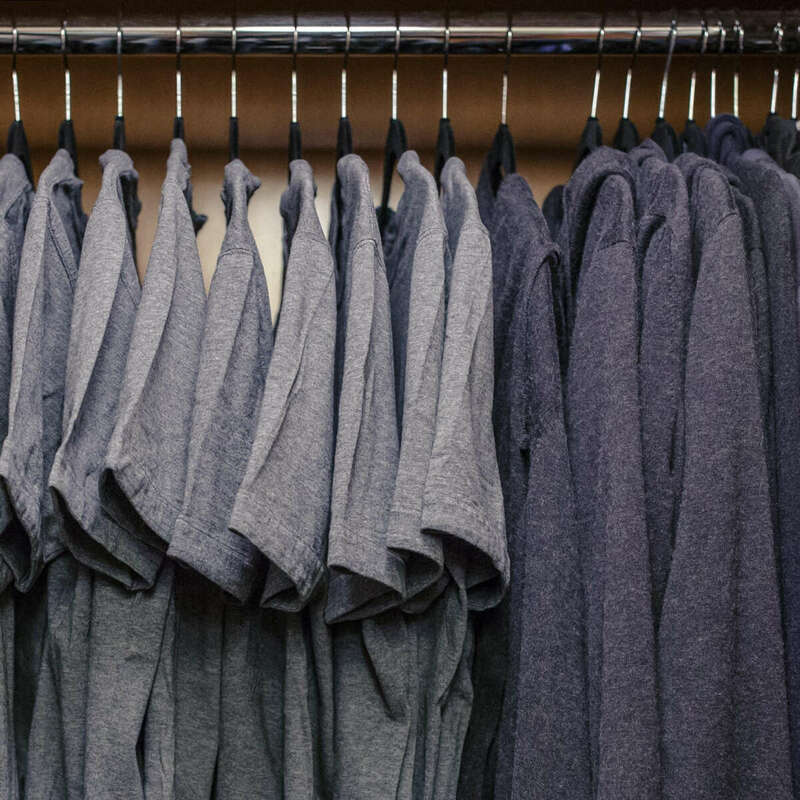 “As waves of hoodie-wearing 20-somethings flood companies, informality in the new norm.” The article chronicled the proliferation of casual clothing in Silicon Valley—the suit was becoming outdated. The article missed an obvious fact of history—informality is always the new norm. Jobs and Zuckerberg weren't the first to dress more casually than their predecessors. Charles II with a statesman & Beau Brummel. The history of the suit is a history of informality succeeding formality. The suit’s origins are naturally fuzzy. What we think of today as a suit is the result of centuries of careful evolution. 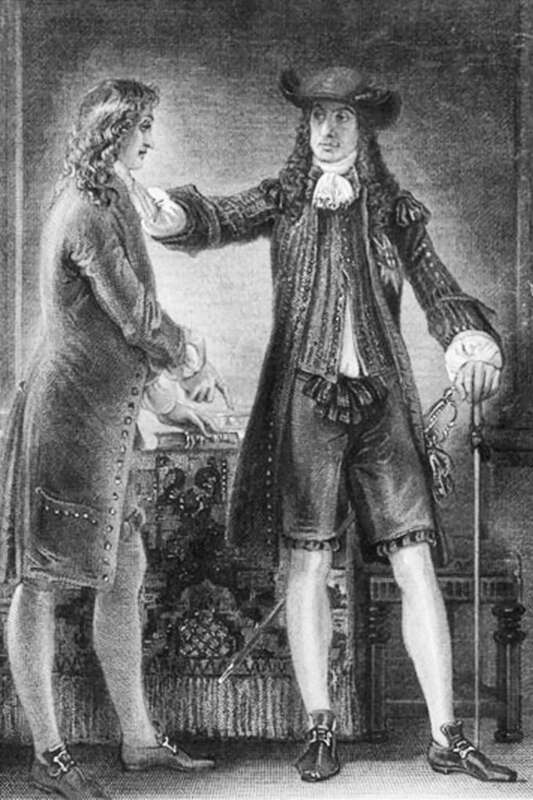 Two men are largely responsible for its proliferation—the English King Charles II for standardising court dress and his countryman Beau Brummel for adapting and popularising the suit. The king hath yesterday in Council declared his resolution of setting a fashion for clothes, which he will never alter. The three-piece suit codified male dress wherever money and power intersected. 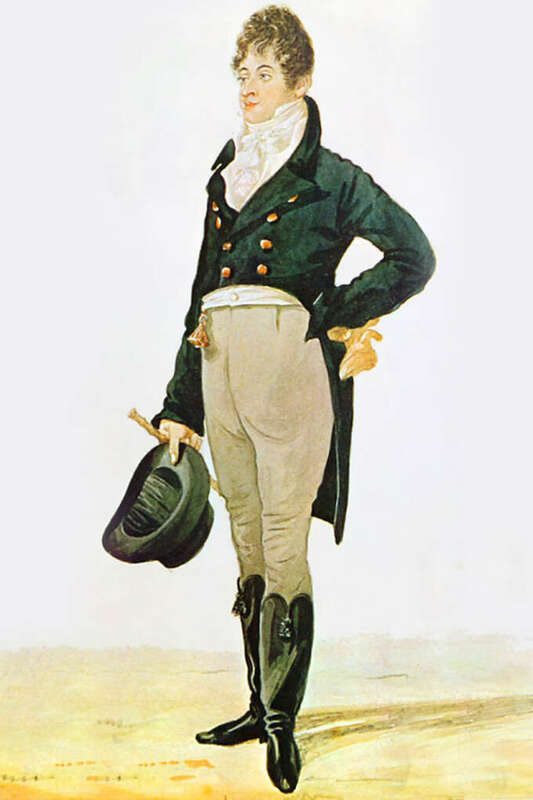 A fitted tailcoat jacket, trousers, white shirt and necktie became the uniform of aristocracy and later society as a whole. This was redefined over two centuries to the suit we know today but how did it reach that stage? At every evolution of the suit the more casual dress variation replaced the more formal. The informal Victorian morning dress is now reserved for only the most formal of occasions. 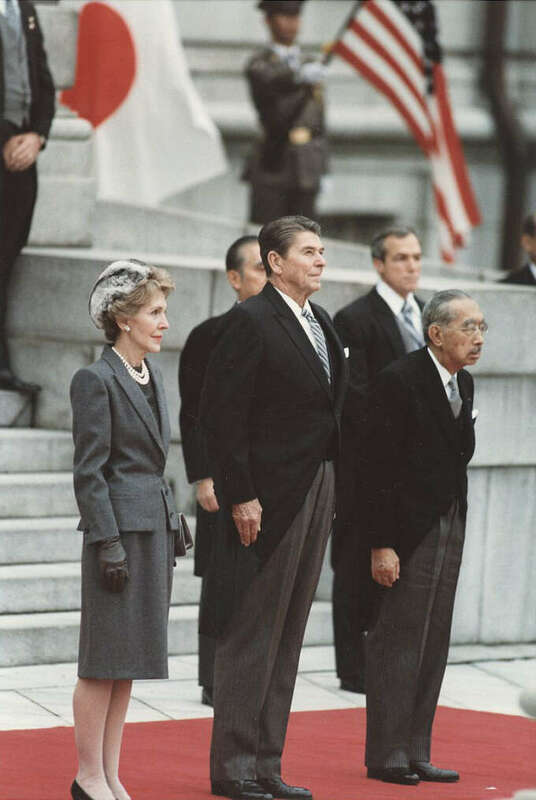 Reagan and Emperor Hirohito in morning dress, 1983. 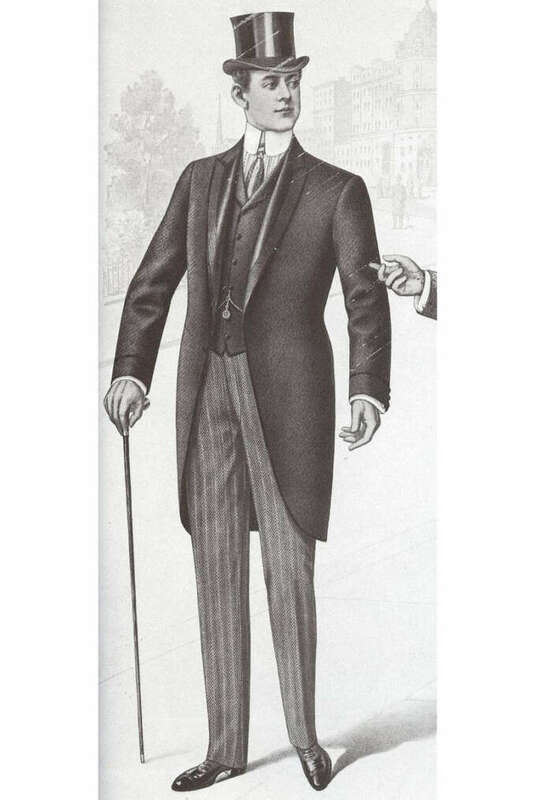 Victorian’s adopted a more casual form of tailcoat called a morning coat. Literally called a morning coat as it was acceptable to wear in the morning and its shape allowed it to drape while riding horseback. Today this is reserved for only the most formal daytime occasions such as a wedding or ceremony. 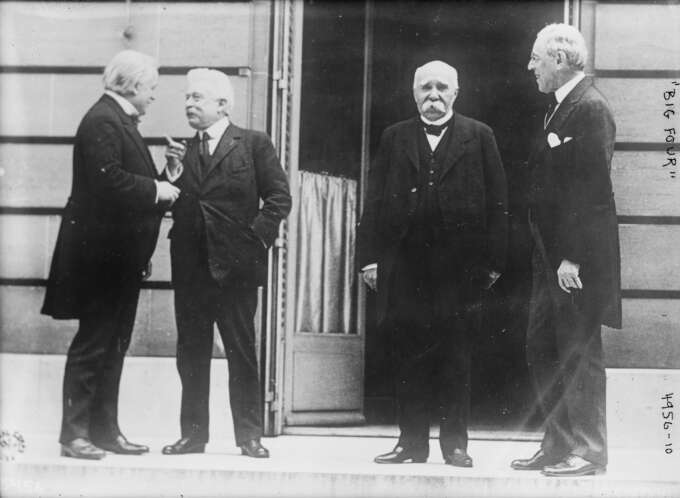 The big four at the Paris Peace Conference in 1919. Here the heads of state are seen wearing morning dress and lounge suits for this informal meeting. Frock coats were worn at formal daytime meetings. This trend is continuous throughout the centuries. It roughly follow thats tailcoats were replaced by frock coats which were replaced by morning coats which were replaced by the lounge suit. Even our most formal events have become more casual over time, white tie has almost been entirely replaced by black tie as formal wear. 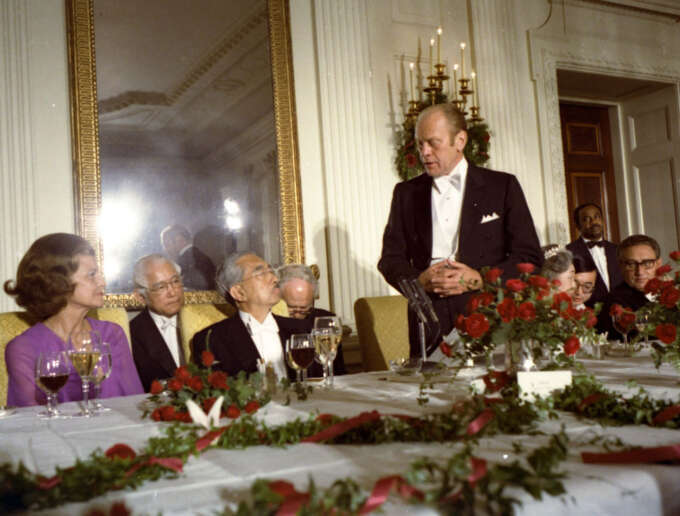 Gerald Ford & Emperor Hirohito wearing white tie, 1975. 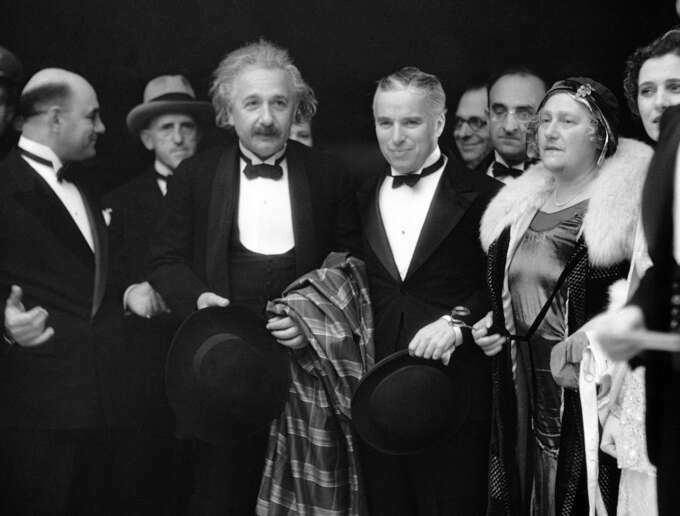 Charlie Chaplin & Albert Einstein wearing black tie, 1931. The lounge suit brings us up to modern day but even suits are being deemed too formal for most occassions. The most formal of institutions are waning their dress codes, JP Morgan Chase this year circulated a memo that business-casual attire was suitable for “most occasions.” The uniform of tech billionaires like Mark Zuckerberg and Evan Spiegel are t-shirts not shirts. 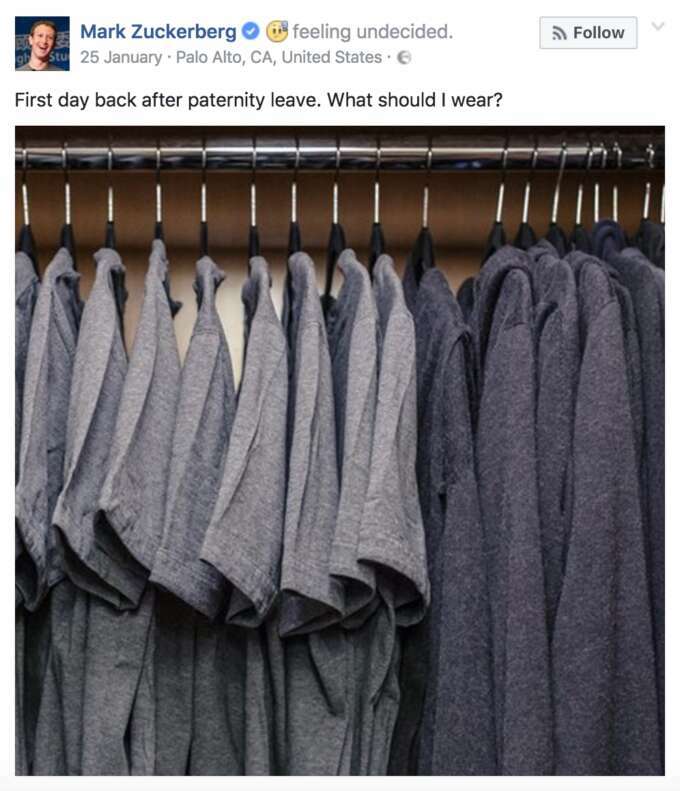 Mark Zuckerberg is famed for wearing the same grey t‑shirt and hoodie every day to avoid expending mental-energy making that decision. Seriously. So what happens next? Its hard to tell but I wouldn’t bet against history. Can we get less formal than we already are? Will business yoga pants soon be a reality? Maybe not but high-street retailers like New Look have already spoken about adding sportswear elements to their suit collections and the rise of leisure-wear lines such as Oliver Spencer’s loungewear collection is probably indicative of a less-formal future. Time will tell. 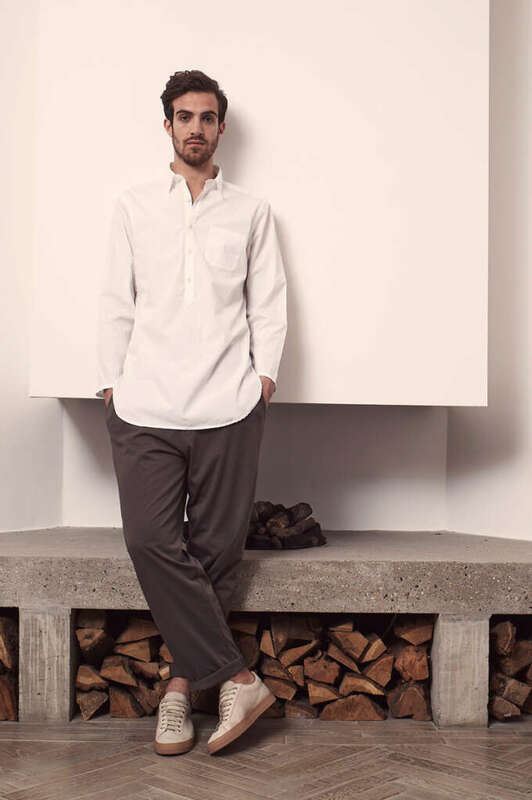 Images from Oliver Spencer’s loungewear collection lookbook.